Morgan Freeman is the latest celebrity to record directions for Google's Waze app, with other famous voices such as Elvis and Arnold Schwarzenegger. Now drivers can take directions from Freeman's smooth baritone telling them to "Turn left in 500 feet." It was reported that Google is not paying Freeman's presumably astronomical fee just to entertain some wayward motorists. But instead, Entertainment Weekly reported that his inclusion as an optional Waze voice is a marketing tie-in for his latest film, the disaster-adventure London has Fallen, set to debut March 4. The film is the sequel to 2013's Olympus has Fallen, where Freeman plays the vice president of the United States. 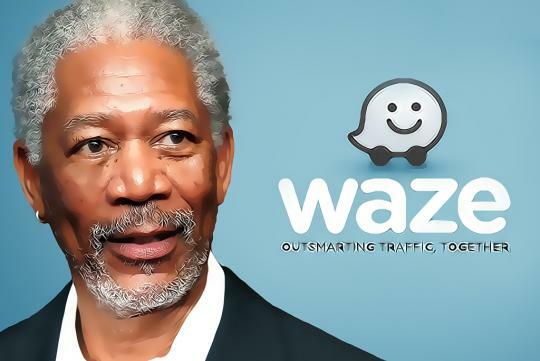 As a Waze voice, Freeman addresses the driver as if they were the president. This allows Waze users the chance for a little drive time role-playing as they pretend that a desperate international incident caused by terrorists is causing the latest traffic back up rather than a pileup of distracted drivers blocking the lanes ahead of them. That's cool. Before the launch of the star wars movie, the farce awakens waze had used the voice of C3PO. I enjoyed using it actually. How I wish the voices were an option and are permanent to use.